The fire started on Friday evening. It was the weekend. I don’t see/hear the news, at the weekend. It’s the weekend. Sunday evening, after a good day in the garden, I put the telly on and caught ‘Reporting Scotland’. There was a man, sitting in a newsroom, saying something about the Glasgow School of Art fire, with pictures of smoke and firemen on tall ladders with hoses. I thought it was hearkening back to the fire, and that the next thing would be a ‘reveal’ of the next part of the re-construction process. I honestly thought that was what was happening, and waited, all agog, to see the developments. Last big news, was the successful reproduction of a bay from the library, which showed that the methods and approaches being used, could work. Then, it continued – a woman who lived nearby who had been evacuated as the structure is deemed unsafe – a fireman saying they’re still dealing with the remaining pockets of fire ( this was on SUNDAY, from FRIDAY), and that it’s too early to even conjecture about what happened. I just sat there. Disbelief. There are other buildings which he designed, and there are other works by himself and by Margaret MacDonald. What they did, what they were, and what they placed in this world, is still there. But…But…But…..this is/was the Glasgow School of Art. 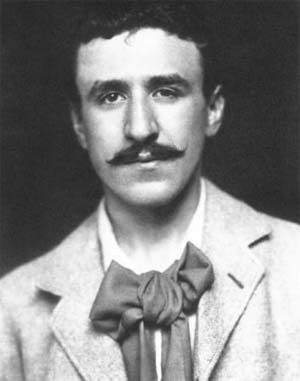 And, Sunday evening, I raised another glass to MacDonald and MacKintosh/MacKintosh and MacDonald. To – The Macs.